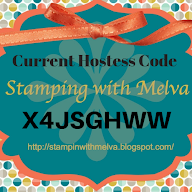 Stamp with Melva: Missing in Action! Wow, where does time go! 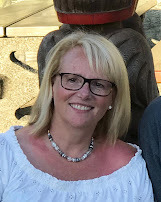 It's been a bit crazy with my day job getting in the way of my posting. It isn't that I haven't managed to find some time to be creative, but I just haven't found my way to post. Okay...back on track! I have lots of birthdays in March and April so I thought I would share some of the cards that I've been making. You may have noticed all of the great "card in a box" creations that are on Pinterest and other blogs. I couldn't resist trying this out. I love this. They fit into a standard envelope for mailing and what an impression when the receiver opens the envelope. I love the colour combination of this one. Pool Party, Basic Black and Whisper White with some Designer Series Paper from Sale-a-Bration flyer - Sweet Sorbet. 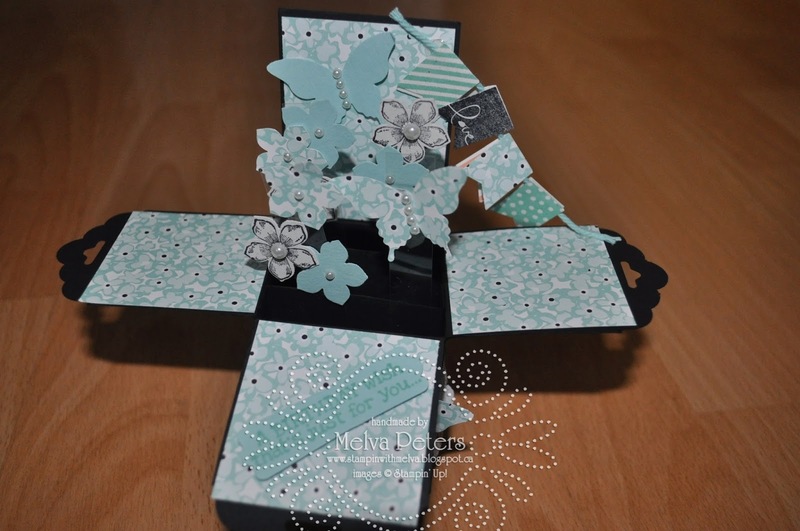 I used the Banner Blast and matching punch from Sale-a-Bration, the Petite Petals stamp set and matching punch from the new Occasions Catalogue and the Butterfly punch. This one used the Blessed Easter stamp (I carefully cut the sentiment off the stamp so that I can use the two separately) and then cut out the tulips. 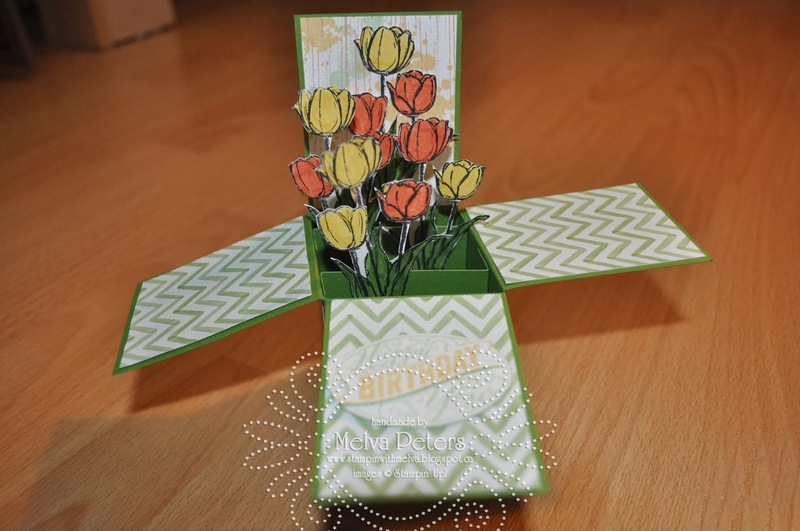 I will be offering a Card-in-a-Box class in the near future. If you are interested, please email me.